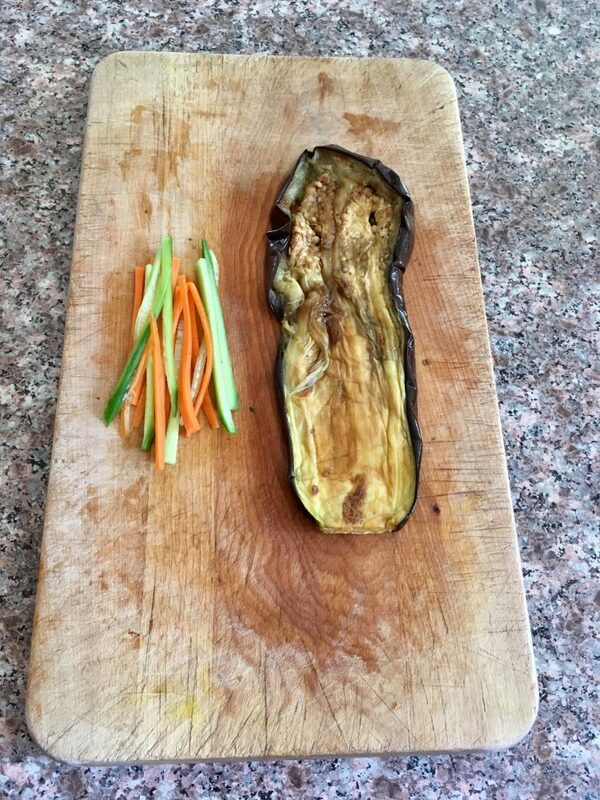 Meanwhile, julienne the cucumbers and carrots, and divide them evenly per eggplant slices. 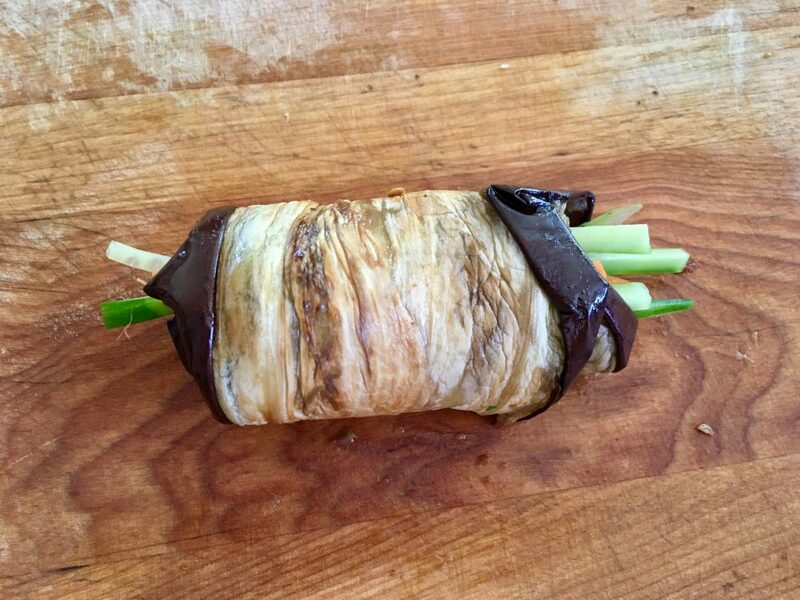 For each eggplant, place the julienned pieces on one end and roll the piece tightly. Eggplant rollup before it’s been cut in half. Cut each roll in half and stand each half on its flat side. Sprinkle with ground walnuts and serve with yogurt. As adorable as they are yummy! 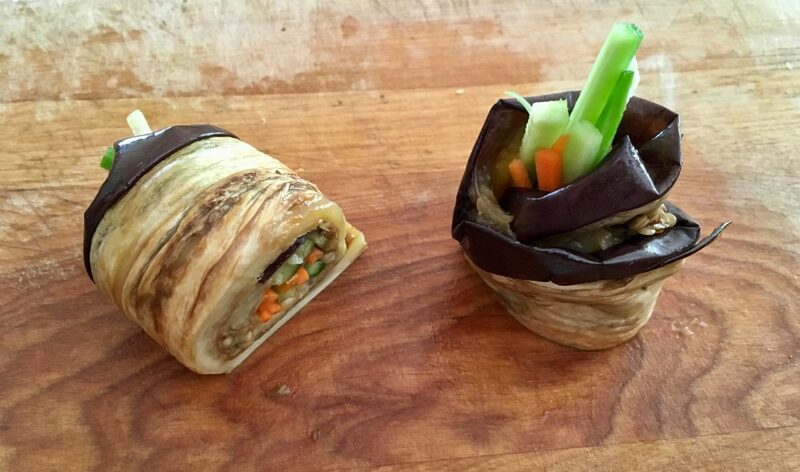 These look so beautiful, must be delicious, and are healthy – what’s not to love about these roll ups. they are! vegetarian, vegan, low fat — & high tastiness! I know — all these food blogs do that to me too! They look delicious, I would have to replace the soya with Date Honey. am sure would still be delicious! 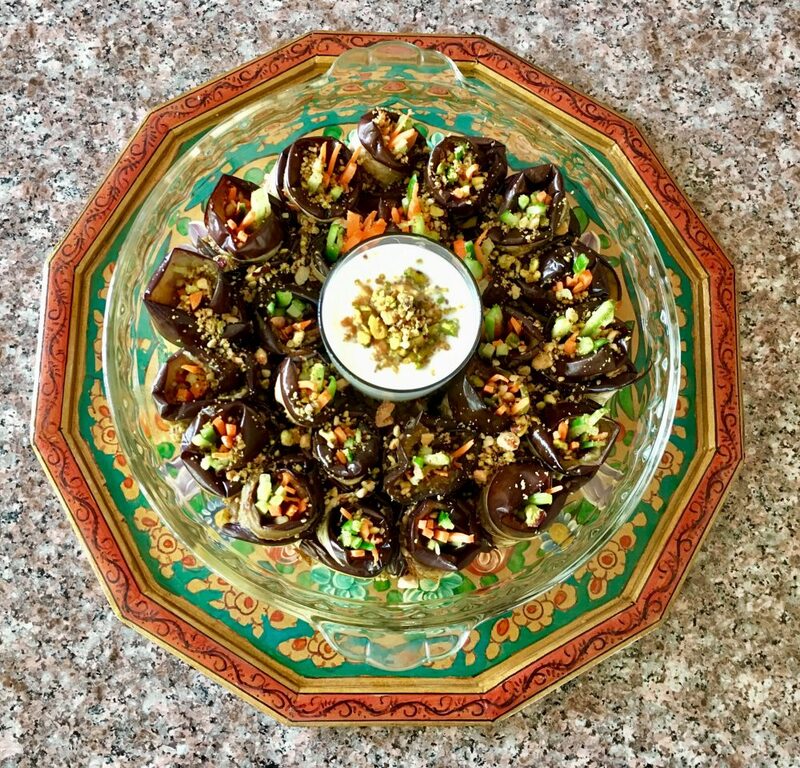 I love recipes with eggplants. These look wonderful. Great idea for boating munchies. Healthy too. Yum! Your pictures are beautiful, and I definitely want to make these! Oh my, these are pretty. I am going to have to try them to see if they are as yummy as they look. Oh, wow. I need to try these!